Hello! Welcome to another Handmade Monday. Come on in, make yourself comfy and enjoy browsing all the blogs at the bottom of this post. If you are new here, you can find out more about Handmade Monday here. 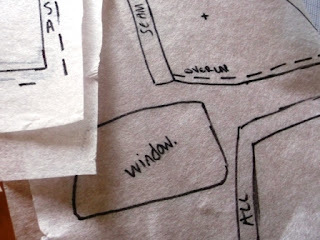 This week I've been drafting a pattern. Can you guess what it is? Well maybe if I show you my graph paper drawing that I measured everything out on? As you can see, I have got round to putting a numberplate on it! I didn't have any real idea what I wanted my numberplate to be, but VAN BAG somehow seemed appropriate! The pattern will be available for sale as a digital pattern in the next few weeks but there's quite a bit of work left to get it to that stage! The Handmade Harbour website! This will be for my sewing patterns, digital stamps for cardmakers and (eventually!) books, too. I'm really excited, but there's still quite a lot of work before it can be unveiled. I'll be asking for digital stamp testers and design team members quite soon, so if you think you might be interested, keep checking this blog. I will also need sewing pattern testers soon too! It's all starting to change from feeling overwhelming to seeing light at the end of a very long tunnel, but there's still a long way to go! I'm enjoying the journey now, though - and that's a really good thing, I think. Great news about the website - looking forward to it! All sounds really exciting! Good luck with everything. Ooh very exciting about the new website! I'll be a tester for the sewing patterns! Love the tote bag! Lots of exciting things going on. Looking forward to seeing the completed tote bag, I love the colours you are using. Thank you for hosting handmade Mondays, it's great to see all these projects, the camper an looks fab, I'm looking forward to seeing more of it! The camper van bag is looking very good indeed too. Oooh i can't wait to see your camper van bag in its full glory :) I love the number plate! Sounds very exciting Wendy and I wish you lots of luck with your new ventures and looking forward to seeing what the future brings. 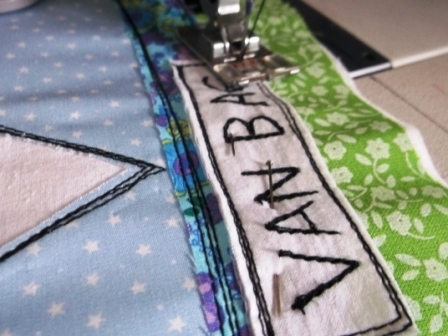 I do like the name Van Bag, very smart. Hope you have a good week. Love the van bag!! :D Can't wait to see it finished in full! 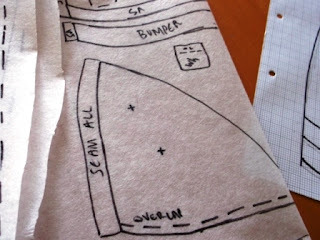 Looking forward to seeing the finished results of your camper van bag and of course your new website Exciting! Ooh, that sounds very exciting. Love the bag, what an awesome idea. Sorry I don't have a post to link up this week. Looking forward to the new website, how exciting! The tote bag sounds great, cant wait to see it finished! 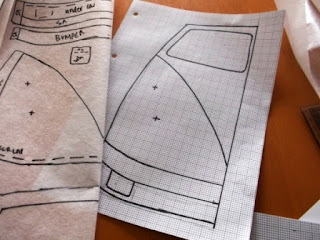 The campervan bag looks great, and the website plans sound very exciting! Can't wait to see the campervan bag, wonderful idea. How exciting a new website. I can't wait to see it up and running.